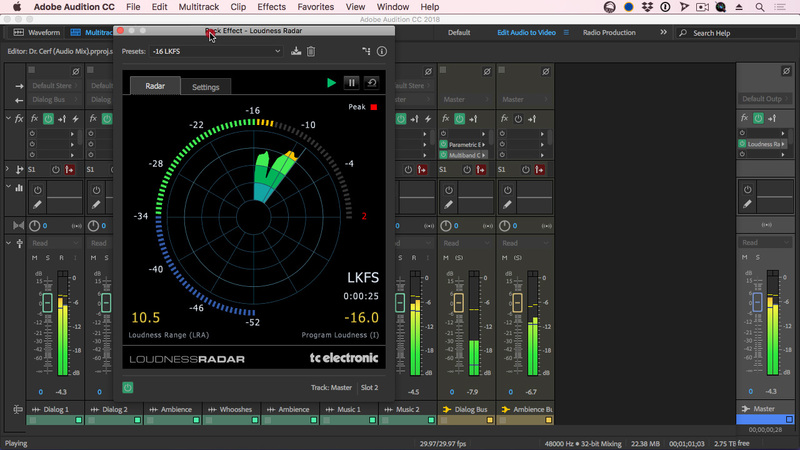 Presented by Larry Jordan, this webinar covers the entire workflow of mixing the audio from a Premiere Pro project in Adobe Audition. In other words, this webinar covers the entire workflow of mixing the audio from an Adobe Premiere Pro CC project in Adobe Audition CC. NOTE: Due to technology constraints with our webinar software, you won’t be able to hear the audio Larry is mixing. Which is why session this concentrates on process and technique, not adjusting the actual mix. This beginning-level session requires no knowledge of Audition, though some knowledge of Premiere will be helpful. This session is delivered as a QuickTime movie, so you don’t need to own the software to watch this. Is Audition worth the work?